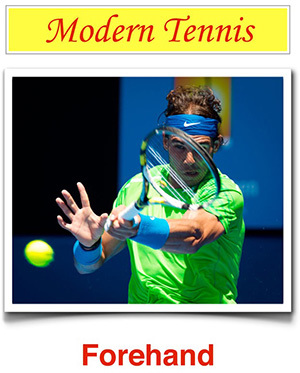 4tennis - What if the forehand isnt your best shot? What if the forehand isnt your best shot? What if the forehand isn’t your best shot? If we know that our forehand isn’t a great shot, we don’t face the coming ball with the correct loosening. We feel insecure and we push the ball with our arm instead of hitting it with the right determination. These thoughts have a negative influence on your shot even before hitting the ball. Always concentrate on what you want to happen.